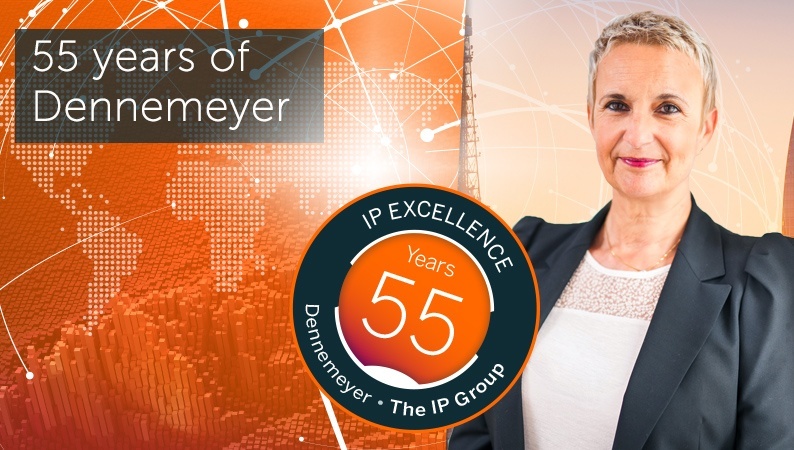 Maryse Heirend, Global Head of Trademark Renewals at Dennemeyer, is one of Dennemeyer’s employees with a double anniversary: She has joined the company 33 years ago. Since then she has not only seen the rise of the trademark renewals industry – she has been one of its pioneers. Today we manage about 32,000 trademark renewals per year in all relevant jurisdictions with almost 50 experts worldwide. The whole trademark renewals industry has evolved and made the market increasingly competitive. Hard to believe that in the beginning we didn’t even have dedicated professionals for sales or marketing. Our service was so outstanding that many clients literally came to us asking for our services. Besides, our attorneys and lawyers invested two to four weeks per year to visit new prospects all over the world. That was enough to bring home new business for the rest of the year. Dennemeyer’s Trademark Renewals service has grown constantly in the past 30 years, supported by the ongoing trend to M&A activities (irrespective of a temporary drop after the financial crisis after 2008). We benefit from the full range of services that only a global full service provider can offer. The close cooperation with the IP law firm Dennemeyer & Associates is an advantage we have and a strong unique selling proposition in the provider market, or as I like to put it: The renewals department is the “extended arm” of our law firm. Indeed: The majority of all trademark renewals come together with changes either to the trademark owner or to the trademark itself, i.e. changes in ownership, reclassification, restriction of lists of goods/services, etc. For the client it is convenient to have only one provider who handles it all. A special highlight for me was the opening of the trademark department of our US branch in Chicago in 2009. The colleagues already handled patent annuity payments and we decided that it was highest time to also offer administrative trademark services locally. My strong believe is that the best client service consists in expertise and local presence - due to time zones, but also due to availability in the client’s language. Dennemeyer’s massive regional expansion in the past years is a consequence of this strategy. I believe that the perfect setup for the next decade is the combination of a client-oriented and highly flexible software solution, a powerful global back office and many lean, but agile local offices that act as “face to the client”. When it comes to product development there is one specific thing which I would like to highlight: the introduction of our Standard Renewals. Our diversified renewal product line enables us to always make the right offer to each client, based on their particular needs: The Premier Renewals service provides maximal flexibility and customization, while our Standard Renewals are the perfect choice for our clients who are willing to accept a high level of standardization and automation in return for low prices. We are able to serve both types of needs and so the Standard Renewals service has become a success story of its own. Wrapping it up: How has the global trademark renewals business changed since 1984? Well, obviously, we are managing a constantly increasing number of cases, the daily business has become much faster, and due to the technical opportunity instructions are received increasingly later. As a consequence, despite all the technical progress, the pace and the stress level has definitely increased. However, I am proud to say that the quality of our services has not suffered from this increase at all. Quite to the contrary: We are constantly receptive to our clients’ needs, we proactively improve our processes and technical support which enables us to continuously provide better service and support to our clients. 55 years of Dennemeyer is a birthday not to be celebrated only by us and our clients. Every company that sources IP services is invited to benefit from our anniversary campaign by making use of our very special present: Ask for a preferential price for one or more of our 39 IP services which you are currently not yet sourcing from us. The only condition: The service(s) must be new for you. After a brief career as an elementary teacher and audit assistant, Maryse Heirend dived head first into the IP Industry. A lifelong Dennemeyer employee, Maryse Heirend started as a Legal Assistant in 1984 and she has been a valuable company asset since. Since 1984, Maryse Heirend is the Global Head of Trademark Renewals, while also functioning as COO between 2013-2015 and as Head of Seminars for one year, between 2015-2016.